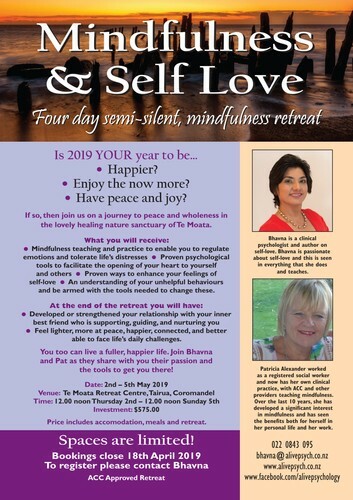 On this retreat, Bhavna and Pat will support your growth in both mindfulness and self-love. A special focus of this retreat is to enable you to connect with joy and bring that forth into your life. 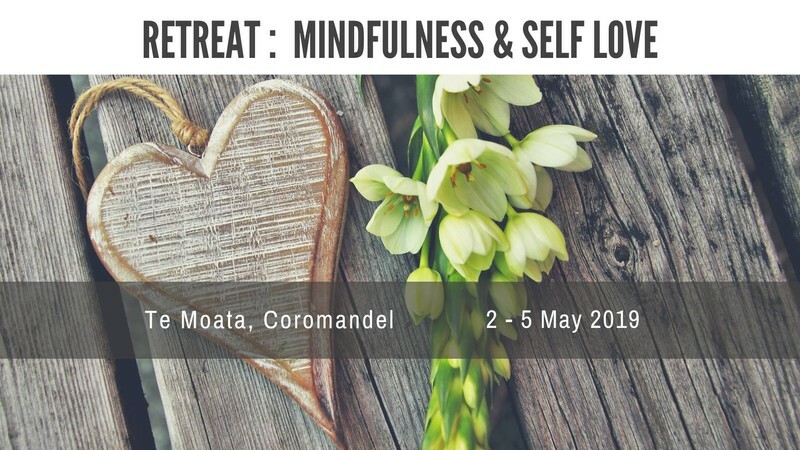 This retreat combines proven psychological and mindfulness strategies and gives you the best of both worlds. - Enjoy the now more? - Have peace and joy? If so, then join us on a journey to peace and wholeness in the lovely healing nature sanctuary of Te Moata. - An understanding of your unhelpful behaviours and be armed with the tools needed to change these. - Feel lighter, more at peace, happier, connected, and better able to face life’s daily challenges. You too can live a fuller, happier life. Join Bhavna and Pat as they share with you their passion and the tools to get you there! Price includes accommodation, meals and retreat. Bookings close 18th April 2019. ACC Approved Retreat.